One of the biggest frustrations financial and tax managers have when reclaiming VAT is the constantly changing VAT ecosystem. Each country evaluates and change VAT rates and classification independently, and changes are only announced locally. Traveling executives who return to work after travelling report on expenses, without taking into account changing VAT rates and regulations. Services and accommodation VAT rates are often re-categorized, which has an impact on what can be reclaimed and at what rate. Tax managers who complete reports and submit to tax authorities manually are also usually not aware of these VAT changes and miss out on opportunities for more returns. It’s hard to keep track of these changes, but an automated VAT system will update every change autonomously, ensuring maximum VAT is returned. Ireland announced that it will raise the VAT rate on tourism services from 9% to 13.5%. This will happen on 1 January 2019. 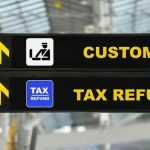 Angola has delayed the introduction of VAT until 1 July 2019. VAT was to be introduced on 1 January 2019, replacing the exiting consumption tax of 10%. Bahrain is scheduled to approve the implementation of a 5% VAT in November, in time for an early 2019 launch. The Oman government is looking to implement a 5% VAT regime from 1 September 2019. South Africa plans to update the definition of digital services subject to VAT, this has been delayed from 1 October 2018 to 1 April 2019. The Greek government has committed to reduce its standard VAT rate by 2% from 24% to 22% by 2021. Hotel accommodation and restaurant services in Romania are to be recategorised from the first reduced VAT rate of 9% to the second reduced 5% rate. Lithuania has proposed reclassifying foodstuffs from the 9% reduced VAT rate to 5%. The standard VAT rate in the Baltic state is 21%. Kosovo is to introduce a range of changes on 1 January 2019 to bring its existing VAT rules into line with the European Union. Venezuela has introduced an emergency 4% VAT rise to 16% from 1 September 2018. The hike will be temporary until 31 December 2019. From 31 July 2018, Luxembourg has introduced VAT Groups which permit closely bound, but legally independent, tax payers to file a single, combined VAT return. Switzerland confirmed that it will scrap the low value VAT exemption on imports of goods bought from foreign e-commerce providers. In Croatia, the proposed cut in the standard VAT rate from 25% to 24% may be delayed from 1 Jan 2019 to 1 Jan 2020. Belgium has overhauled its VAT penalty regime to make it less onerous for overdue filings. Its new regime was implemented from 1 August 2018, and has been applied retrospectively to 1 Jan.
Ghana has split out the 2.5% National Health Levy from the combined current VAT rate. This means the new VAT rate will be 12.5% instead of the current consolidated 15%. The Republic of Korea (South Korea) has extended the scope of VAT to non-resident B2C providers of cloud computer services. This new liability will come into force on 1 July 2019. Romania will cut its 19% VAT rate to 18%, effective 2020. Moldova has proposed recategorising the VAT rate on hotel and restaurant services from the standard 20% rate to the reduced rate of 10%. The new rate will apply form October 2018. India approved a reclassification of the e-books VAT from the standard rate to 18% to the lower rate of 5%. Mexico is planning to reintroduce a reduced VAT rate in the 19 mile border area next to the US border. The rate for standard supplies will be 8% compared to the regular 16%. Vietnam’s government is considering a VAT rise from the current 10% standard and 5% reduced rates. Hungary is proposing to raise its VAT registration threshold from €35,000 to €48,000 per annum. The European Commission is being consulted. The new threshold will apply from 1 January 2019. The Russian government has approved a VAT rise from 18% to 20% on 1 January 2019. The new Barbadian government is to cut VAT from 17.5% to 15% on 1 January 2020. Costa Rica has published a plan to introduce a 13% VAT regime to replace its existing Sales Tax. 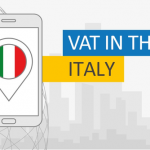 Italy may trigger a VAT rise to 24.2% in 2019. The standard VAT rate could rise further to up to 25% by 2021. Sri Lanka plans to cut its Value Added Tax rate from to 12.5% from the current 15%. To learn more, download our eBooks. For information or demo, contact us.